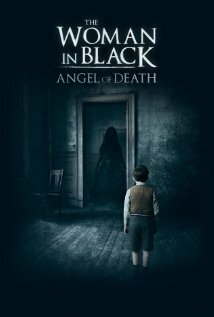 The Woman in Black: Angel of Death is Haunting This Year…at some point! So I don’t really think that The Woman in Black‘s sequel, Angel of Death, has a true release date yet, but it is finally in post-production. When I saw the original film, I thought it was pretty…okay. I liked it a lot originally, but after some time passed, I saw it as a lower-grade version of practically every other ghost story on film. Better than some, but not good enough for a sequel. Well, somehow I was wrong. The Angel of Death is on the way. Below, you will find a trailer, let me know what you think. This one seems pretty damn…meh. The original Woman in Black tells the story of a lawyer assessing property before discovering that one house in particular houses more than just dust.